This book is a guide to the extraordinarily diverse literature of the Hellenistic period. Kathryn Gutzwiller is Professor of Classics at the University of Cincinnati. Her recent publications include Poetic Garlands: Hellenistic Epigrams in Context (1998) and The New Posidippus: A Hellenistic Poetry Book (edited, 2005). She is the winner of the American Philological Association’s Goodwin Award of Merit and has twice won the Gildersleeve Prize for the best article in the American Journal of Philology. 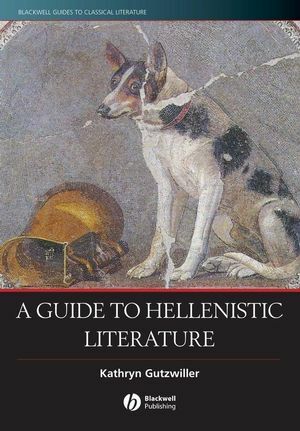 Distinctive in its coverage of current issues in Hellenistic criticism, including audience reception, the political and social background, and Hellenistic theories of literature.